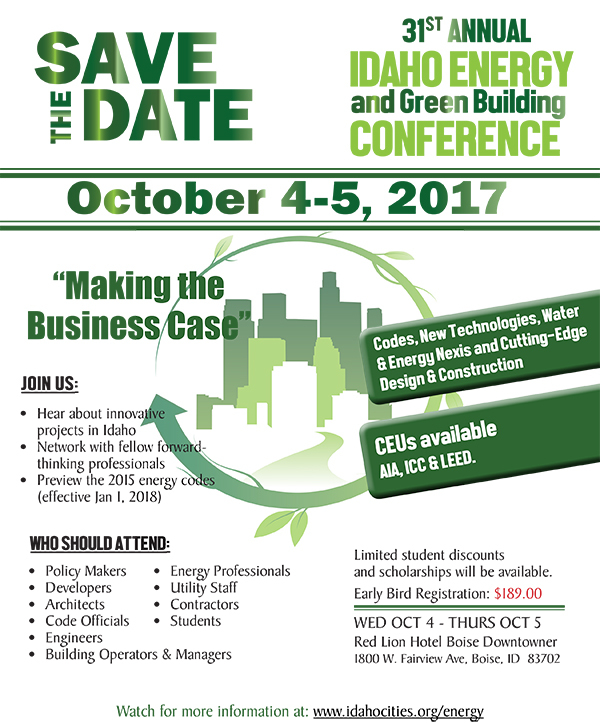 31st Annual Idaho Energy and Green Building Conference. The submission deadline for presenters is July 1, 2017. Early bird deadline for exhibitors is September 6, 2017.